Leading through education, advocacy, community involvement, and professional growth. 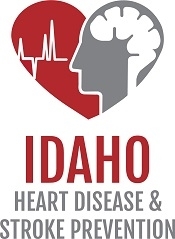 Founded in 1977, the Idaho Academy of Physician Assistants (IAPA) is a professional association who today represents more than 400 PAs across all medical and surgical specialties in Idaho. As a constituent chapter of the American Academy of Physician Assistants (AAPA), IAPA advocates and educates on behalf of the PA profession and the patients they serve. We work to ensure the professional growth, personal excellence, and recognition of PAs. We also enhance their ability to improve the quality, accessibility, and cost-effectiveness of patient-centered healthcare. To learn more about IAPA and our Membership Benefits, click here. When you join IAPA, you get a voice in policy decisions that affect the profession. To become a member, click here.